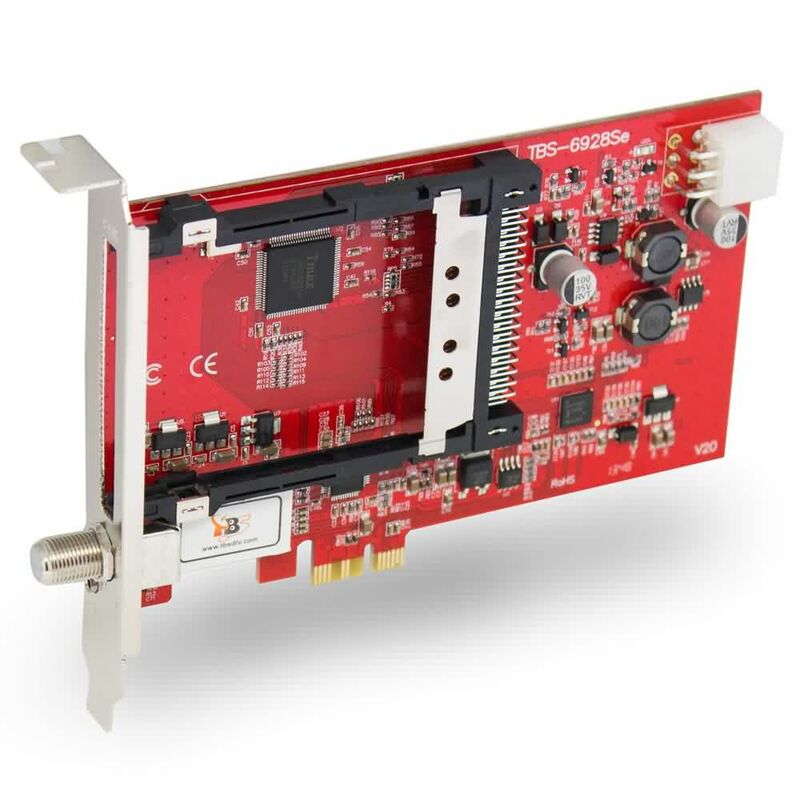 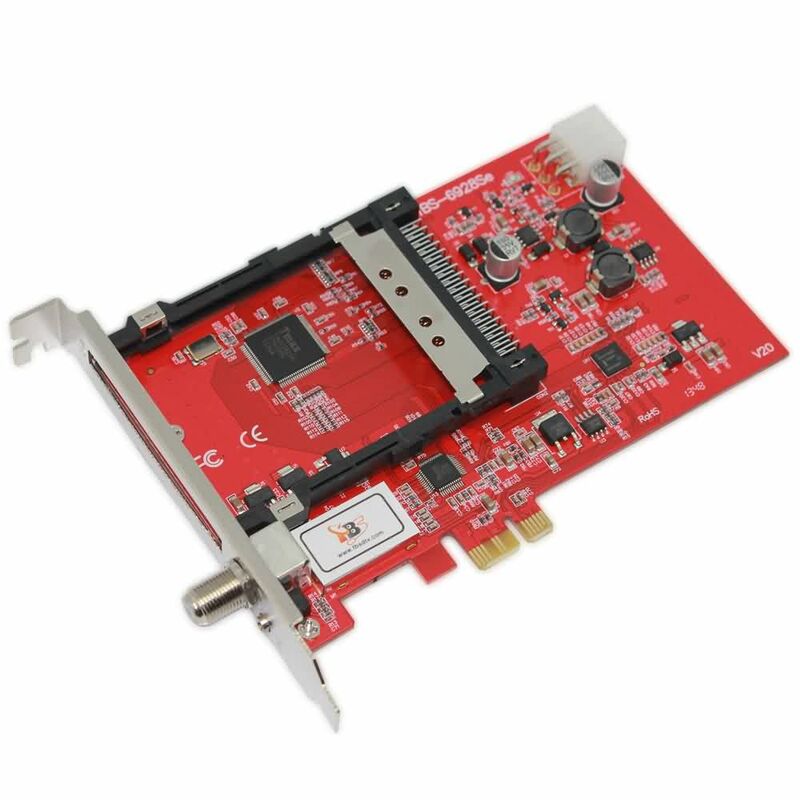 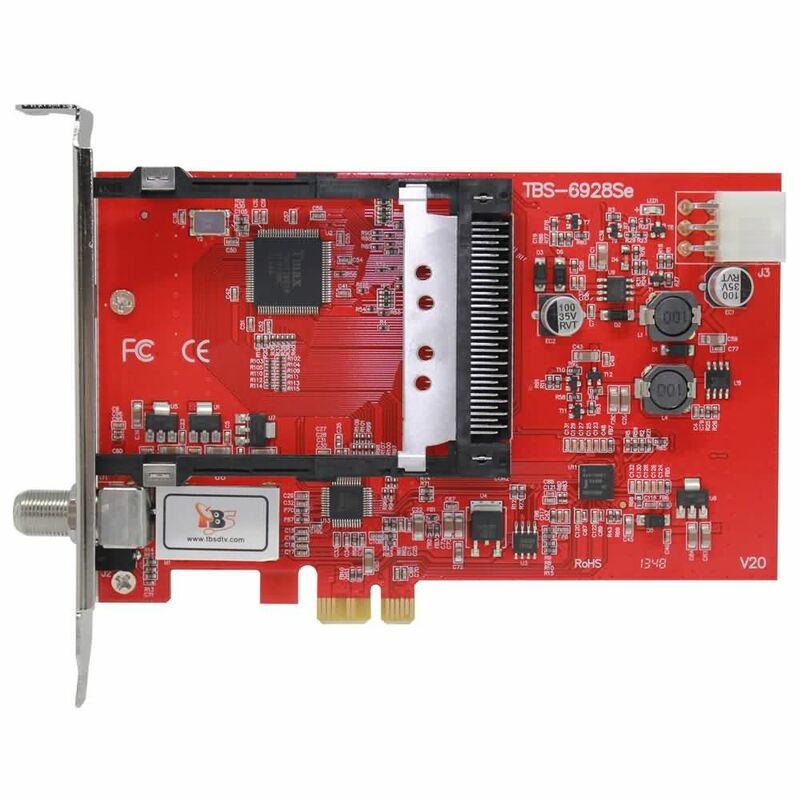 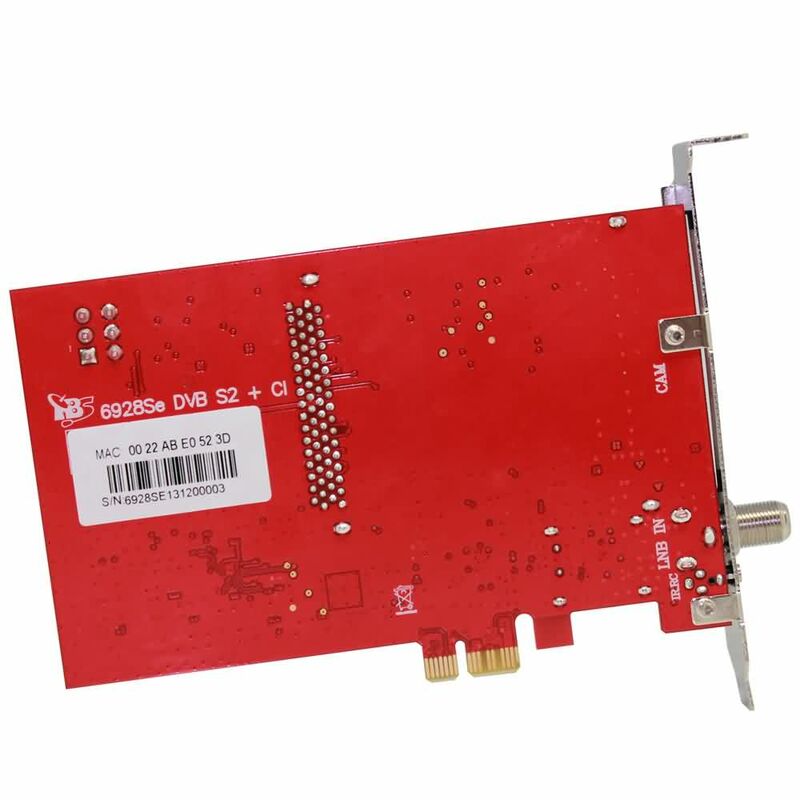 TBS6928SE PCI-E DVB-S2 TV Tuner CI card is the advanced satellite TV tuner built with Common Interface support, which allows insertion of CAM and smartcard for paytv. 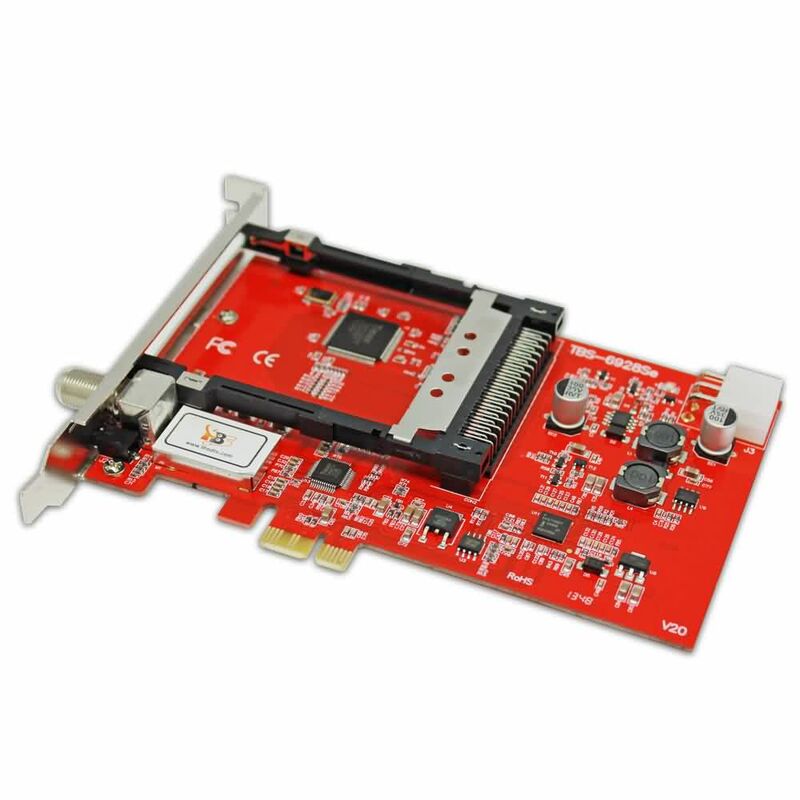 It uses advanced DVB-S2 RF and demodulator chipset and it’s built with the highest quality components such as tantalum capacitors. 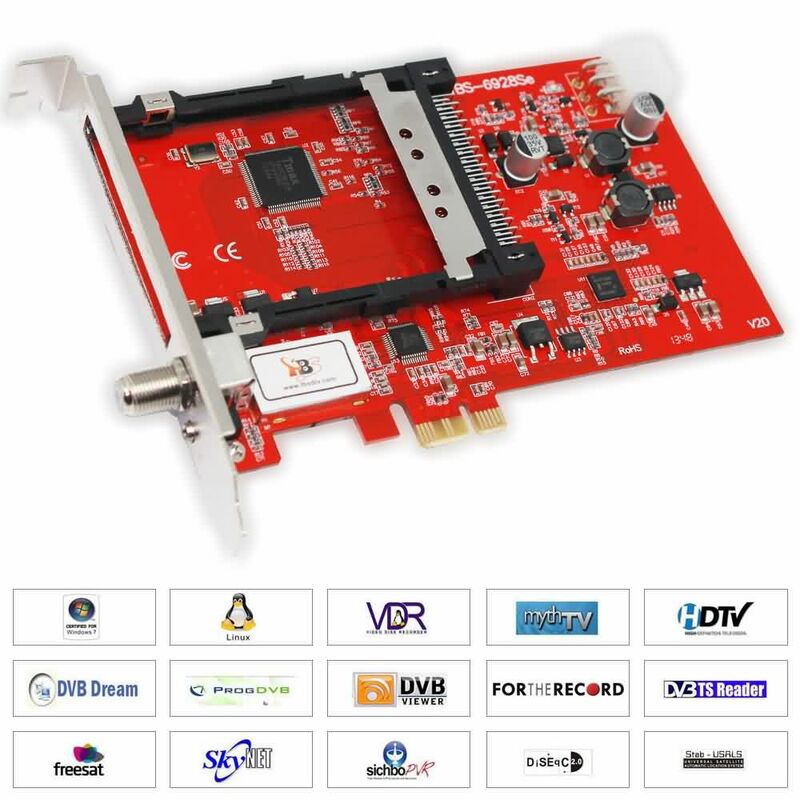 It’s good choice especially for IPTV server streaming paytv contents. 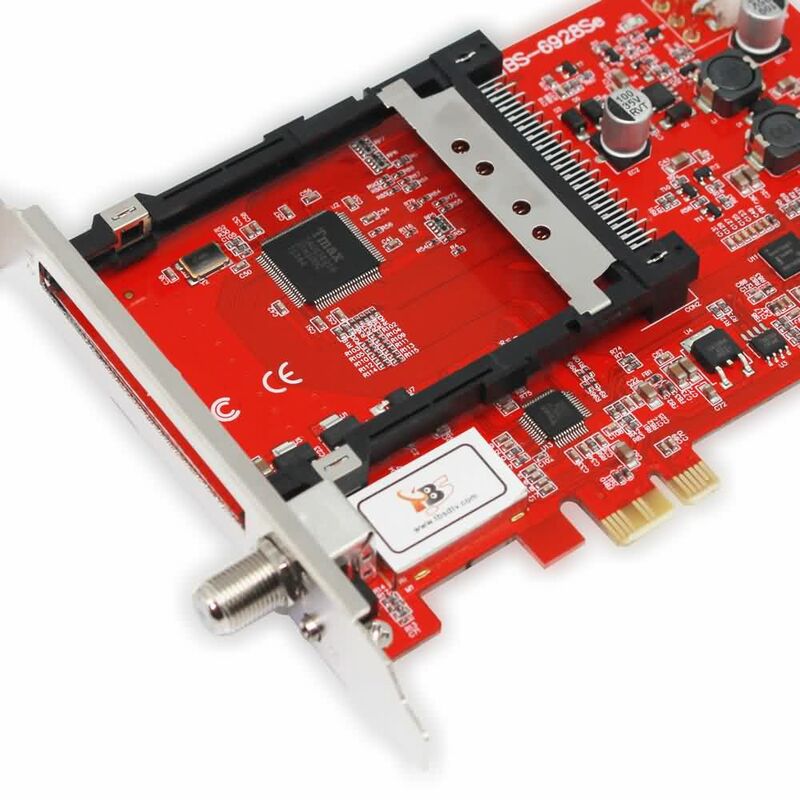 With use of appropriate software, e.g. 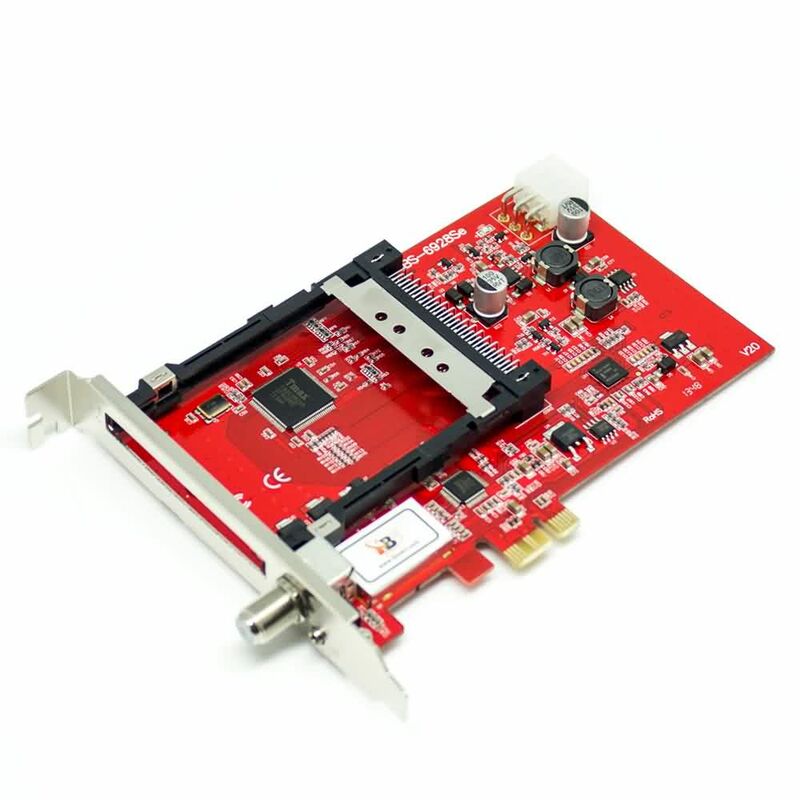 MediaPortal and its’ plugins, you may stream satellite TV contents to your IPhone, IPAD or IPOD. 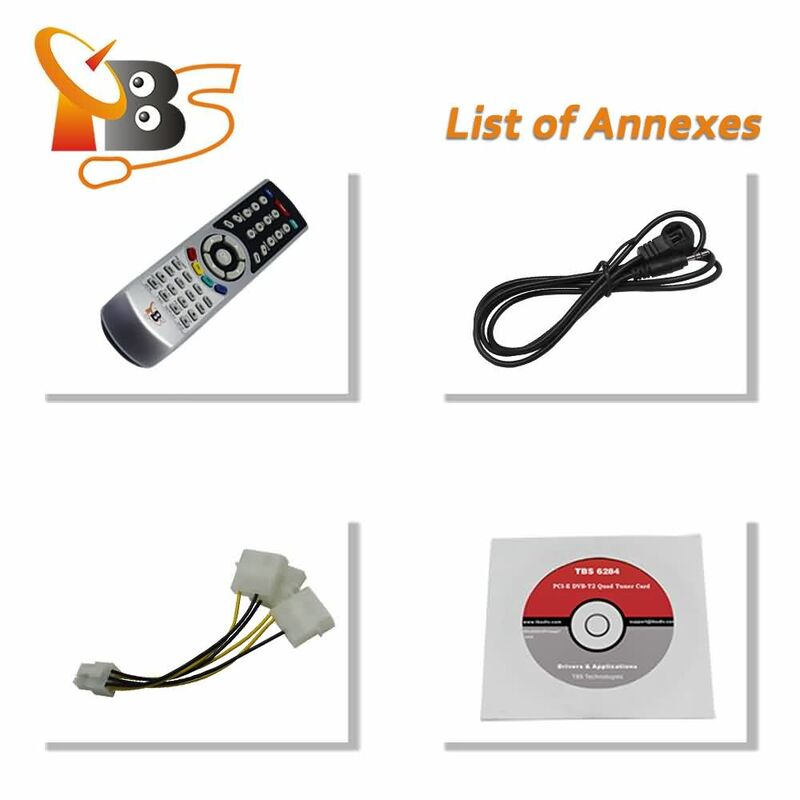 The built in hardware blindscan capability allows you to scan satellite programs without knowing exact transponder details, this is especially useful for hunting unknown satellite feeds.